Workers Compensation coverage often varies by state. Workers Compensation Shop.com offers employers a place to learn about our workers' compensation programs and find information regarding state rules and laws, as well as helpful resources including workers comp class codes, rates, forms, and NCCI state information. Buy more affordable workers compensation insurance today. Purchase better workers compensation insurance coverage for your business. We help businesses find workers' compensation insurance the way they want it. Take a look at our cash friendly programs including Pay As You Go workers comp coverage and our best selling programs by industry type. We're confident we can help you find lower rates and purchase more affordable coverage for your business. A lot of business owners are misinformed regarding workers' comp insurance. Businesses know they need it, but they often don't understand how it works or how to buy it at the lowest rates possible. Learn more about workers' compensation insurance or contact one of our Specialists to get help with your questions about workers compensation insurance. Our Workers Compensation Specialists Can Help You Today! Welcome to Our Insurance Service Center. We provide our customer with the highest level of customer service and support. To get help with your insurance policy please choose one of the links to the right or contact us to get help with specific questions about your workers compensation policy or coverage. Call 888-611-7467 To Talk With A Work Comp Specialist! We Help Agents and Payroll Bureaus Sell More Workers Compensation Insurance. Because we are a national insurance agency specializing in workers compensation coverage, we have access to a ton of markets. If you are an agent or payroll provider we can help you write Pay As You Go insurance and more. Looking for new or better workers compensation markets? Ever have trouble placing a risk due to the exposure or experience modification factor? We help agents and payroll service providers place more workers' compensation policies with our National Partner Programs. We provide fast and knowledgeable workers' compensation brokerage services designed to help you and your customers find the most affordable workers compensation quotes in the least amount of time. Get access to cutting edge Pay As You Go programs and easy flexible payment options from more than 35 insurance companies. We make workers' compensation insurance look easy. And we're dedicated to providing fast, affordable coverage for employers. We've already helped over 35,000 employers purchase workers compensation insurance coverage. Find out if we can help your business get lower rates with a free, no-obligation workers comp quote today. Workers Compensation Shop.com was founded in 2005 as a national online insurance agency. We specialize in the unique issues associated with workers' compensation insurance and the need businesses have for more affordable workmans comp coverage throughout the country. Workers comp coverage might be the most important insurance product for small business owners because it protects you against claims that could potentially devastate your business. Unfortunately, many agents do not have real expertise in workers' compensation rules and regulations. They also don't have access to enough insurance companies to satisfy the needs of all types of industries. Call Us Today for a Free Workers Comp Insurance Quote! Find out if your daycare or child care service qualifies for a better deal on workers comp. Learn more about our Target Daycare Work Comp Programs. Child care insurance coverage can be expensive for small business owners. Workers comp rates tend to vary considerably by state and insurance company making it difficult for employers to know if they are getting a good deal on their policy. Our national Agency now offers exclusive Day Care Center programs with several insurance companies to help Professional and in-home centers find the lowest rates on coverage. Get started on your Day Care quote for coverage today. 8869 Child Care Centers- All Employees. This classification typically includes centers that care for both pre-school and school-aged children. It doesn't include traditional schools with before and after school care programs. However this class would include child care centers operated by organizations such as YMCA's and churches. 7380 Drivers and Chauffeurs. This is a common class code utilized for day care centers with vans or buses for transportation. 8868 College- Professional Employees. Adult day care facilities may utilize this code for day time senior care where there is very limited medical care involved. May also be applicable to learning centers. 9101 College- Other Employees. This code would apply to adult care staff who are not in a professional role or utilizes specialized skills. This may include maintenance, grounds keepers, food service and driving. NOTE Contact a Workers Comp Specialist for more information on properly classifying your day care business. AmTrust is a national carrier writing both child care centers and adult care facilities. Travlers offers a target program and great rates for daycare centers with and without medical care. FirstComp has exceptional rates for small in-home care and professional daycares. AIC's day care program covers adult day care centers and is available in most states. Employers Insurance is the small business expert for all types of day care centers. Hartford has complete package solution including Business Owners, Liability, and property coverage. We offer additional carriers and all lines of insurance programs for all types of day care and in home child care. Start your quotes online now or give us a call for lower rates on your insurance. We're your national Day Care Center Insurance Agency. 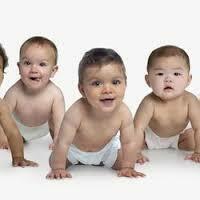 Most agencies can offer workers compensation quotes for daycare centers and home based child care. But we offer exclusive target programs with better prices, more credits, bigger discounts, and better insurance coverage. Get started now with an online quote to see if your business qualify for the best prices on your next policy. Or give our Specialists a call today at 888-611-7467. Visit NCCI for more resources and information about workers' compensation class codes. Visit United States Department of Labor for more information about government agencies managing workers compensation insurance rates. Copyright 2019 Workers Compensation Shop.com. All rights reserved.